Due to its central location, Israel provides an Afro-Eurasian pathway for migrating birds every year. 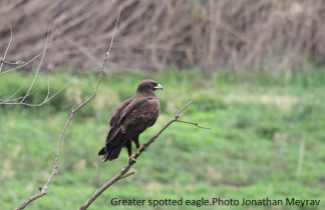 SPNI is coordinating efforts with other environmental agencies to help mitigate the risks of having such a large number of species flying through Israel’s urban spaces annually. Click here to learn more about the effort!